Your Power of Attorney ends at the moment of your death. How your assets will be distributed and who has authority will all be determined in the probate process in the next few months. So, who will come up with the funds now to pay for the funeral? Even life insurance does not pay out for some time once claim forms are submitted. Just recently, I received a call from a La Crosse funeral home who wanted to know how to get in touch with the Wisconsin Funeral Trust. This is the organization that funeral directors set up to hold prepayments for funerals. The association chose to invest the funds very aggressively and now only has money to pay out 65% of what people deposited. 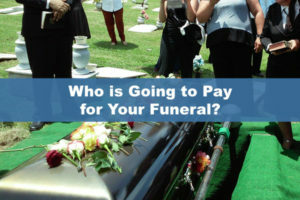 The funeral home that called me was caring for two individuals who had passed, and the home was trying to determine how much money the trust actually has for them. They called me is because they found me in an internet search. (If you Google “funeral trust Wisconsin”, my website comes up.) They hoped I could either help them or direct them to the correct place. This shortcoming of the state funeral trust is important to those planning ahead for their end-of-life needs. I am a long-term care planner and, as such, include protecting funds set aside for funerals as part of my work. I help people set aside funds for their funeral using a licensed trust company who specializes in just this. The company that I use for this purpose is a licensed and bonded insurance company, required by law to retain adequate funds to cover claims. There is no cost to set up such a trust and the funds deposited earn interest. These funds are available immediately at death, even before a death certificate has been produced, to pay all the bills in full. There is another important reason to fund a funeral trust –many people need long term care in the years leading up to their death. This can cost as much as $50,000 to $90,000 per year or more. If they did not plan in advance and purchase long-term care insurance to cover these bills, they may have to apply for a welfare program called Medicaid to pay for their care. Medicaid is a payer of last resort and will only cover long-term care expenses once you have spent down everything you own (house, car, checking, savings) to under $2000. You must also cash in life insurance before Medicaid pays for long-term care. This balance is not enough to pay for a funeral. Medicaid does allow you to set aside money for funeral expenses, but only in an irrevocable burial trust account. Setting these up for people who did not plan for long-term care expenses has become a large part of my work. Death happens to everyone. Don’t leave the bills for this to your children. Make sure the money is there AND accessible to them when it is needed. Long-term care happens to 70% of adults who make it to age 65. What is your plan to pay for this care when your health changes? For answers to either of these predicaments, reach out to Romeo Raabe at www.TheLongTermCareGuy.com or call (920) 884-3030 to schedule a time to investigate solutions. There is never a cost to investigate.